More than 250 people visit the Motherhood private view last night – where Motherhood books were sold in aid of Oxfam’s Mother Appeal. More than 250 people visited last night’s Motherhood exhibition which runs at The Chelsea Gallery, Chelsea Library in the Kings Road until Mother’s Day (30 March). Book sales of the accompanying book, with a percentage of the sales going to the Oxfam appeal were brisk. 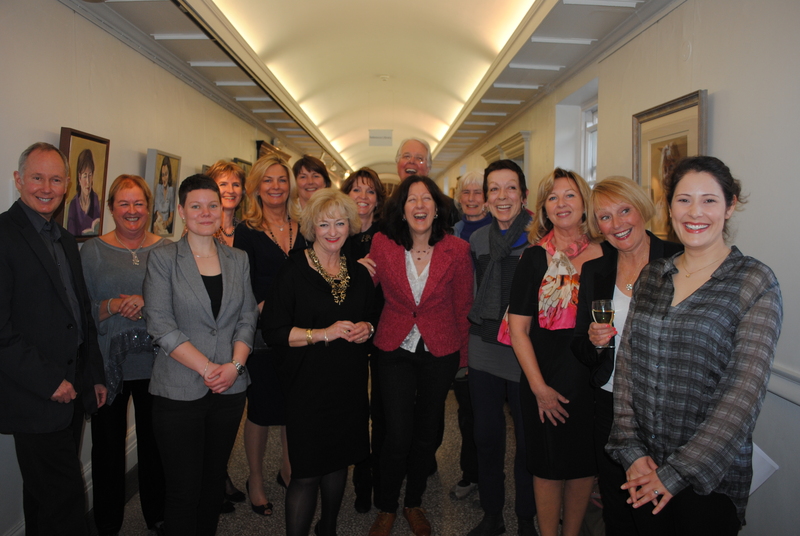 And the private view included some of those who had sat for portraits, such as Sarah Richardson’s mother-in-law ‘Granules’ and Nichola Collins’ mother-in-law Honor. There were some starry names too like Lorraine Chase and many teachers and students from Heatherley’s Thomas Heatherley, where the Lots Road Group met, including Susan Engledow, Tony Mott, Linda Nugent and new Principal Veronica Ricks. And, all the way from the States, came Julia Kay who set up an online portrait party four years ago where artists post their photographs for group members to use for portraits and meet around the world to meet and portray each other face-to-face. Now on facebook. The Mayor of Kensington and Chelsea Councillor Charles Williams and the Mayoress visited the show. Many thanks for your insightful commentary Tim! We look forward to seeing you at the exhibition. Tim Benson, Vice President of The Royal Institute of Oil Painters and brilliant portrait painter, reveals a sneak peek of the Lots Road Group’s first exhibition, ‘Motherhood’. 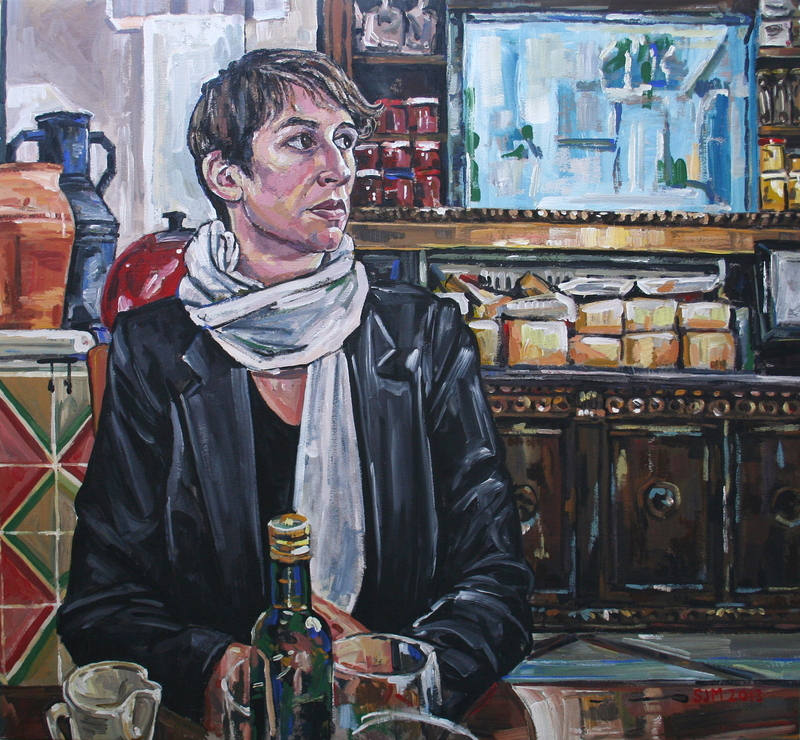 If you would like to commission a portrait – or buy a piece of figurative art – from one of the members of the Lots Road Group of artists, you can see their work on their websites and/or contact them individually by email. Prices vary for a medium sized portrait, according to whether it is head, head and shoulders, waist up, three quarters or full length. It also depends on whether it is an acrylic or oil painting, executed in pastel, a print or a drawing – and how many people are to be depicted. Some artists work only from life (with up to six morning or afternoon sittings required in your home or in their studios) some from a combination of life and photographs. Prices are tailored to individual needs and the process is a collaboration between artist and sitter. Typically a head in oil or acrylic might start from £600 and prices rise to around £4,000. 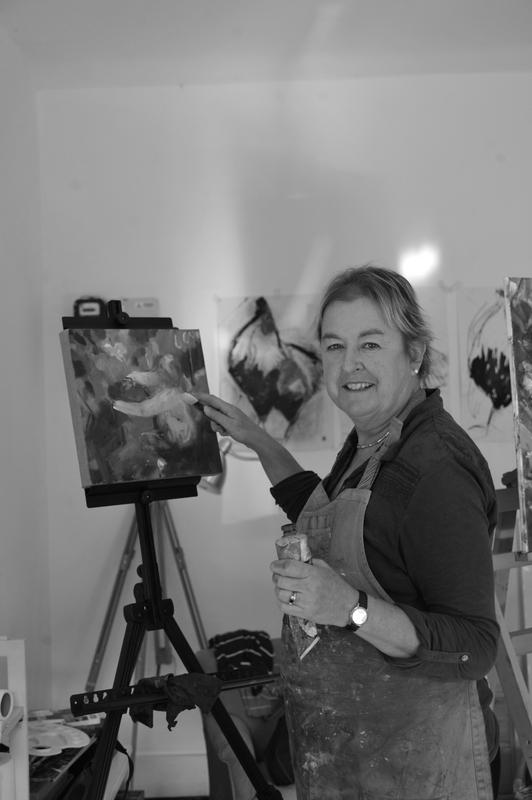 In our next post we briefly catch up with Lucinda Rendall, member of the Lots Road Group and another alumnus of the Heatherley School of Art. 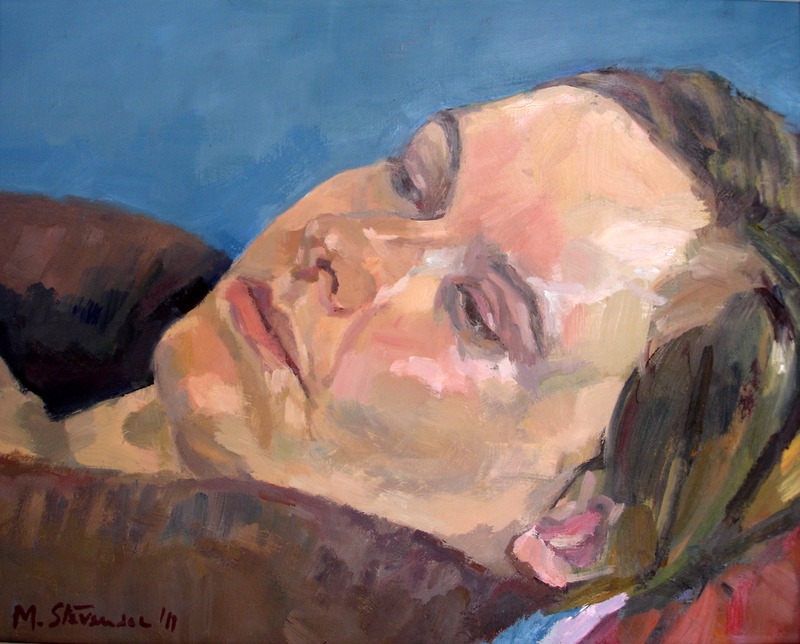 She lets us in on current projects she has ongoing and her inspiration for painting portraits. Having always had an interest in drawing and painting from a young age, I took up painting seriously when I had more time after having bringing up a family and dealing with other commitments. In 2006 I went to an exhibition at The National Portrait Gallery to see the portraits by David Hockney. 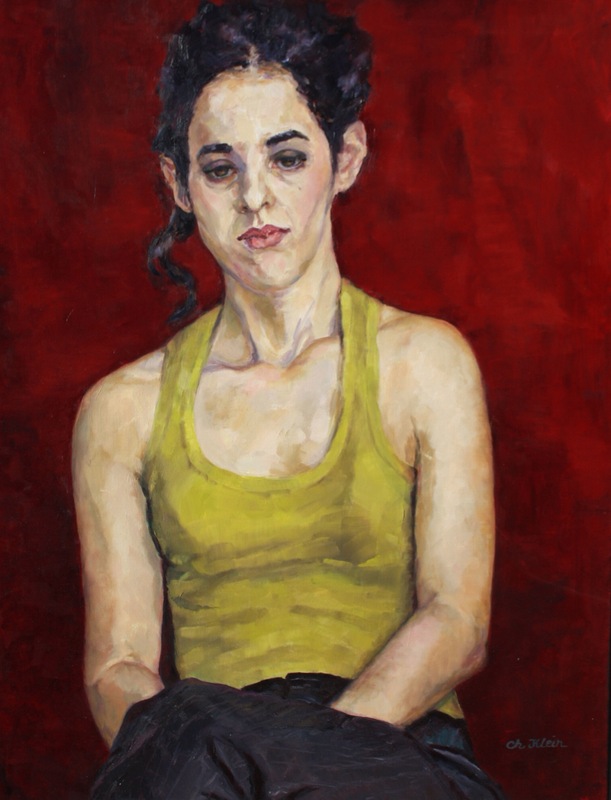 I was fascinated by his work and decided that I would like to concentrate on portraiture and figurative painting. Which other artists do you look for inspiration and why? Cezanne and Bonnard as their paintings have a great sense of colour, light and space. Richard Diebenkorn, Linda Christenson and Melinda Cooksona as they are all figurative and abstract oil painters that I admire. Their colours are inspiring. 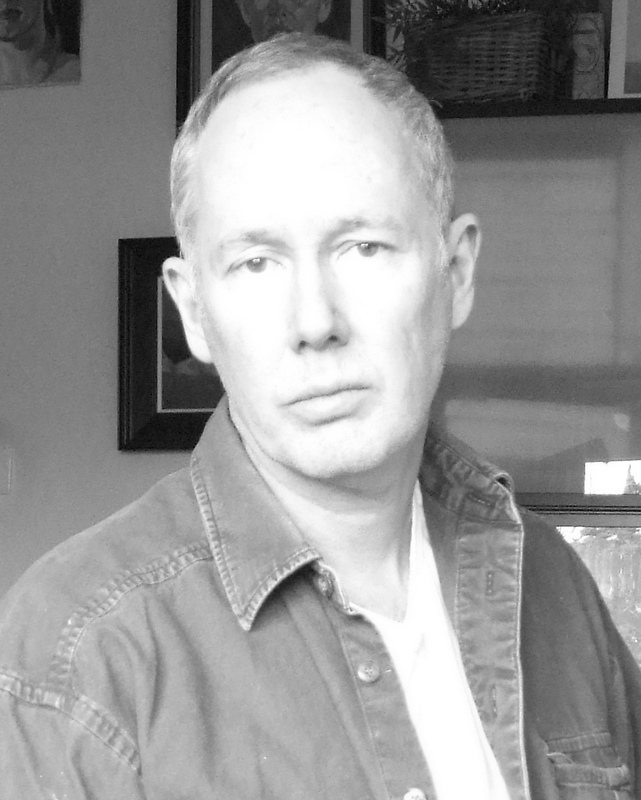 A good portrait in my view should be atmospheric. There should be something interesting in the composition or expression that draws you in. It’s all about light, shadow, space and colour. I am working in a converted cowshed studio on the outskirts of the picturesque village of Alfriston in East Sussex. I continue to be interested in figurative painting. I am currently working on a series of portraits of people in their kitchens and making studies of people grape picking and pruning the vines on a vineyard under the South Downs. I am planning to revisit my special subject of cows and poultry. 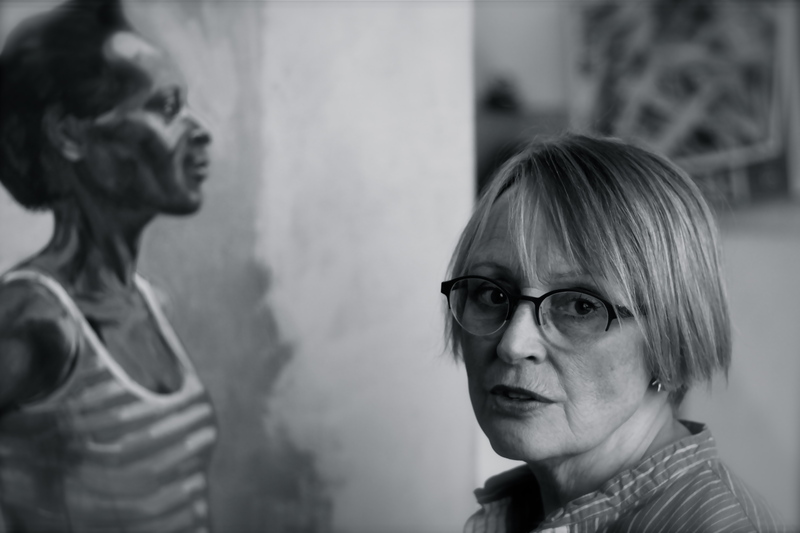 Christine Klein, pictured below, is another alumnus of Heatherley’s portrait diploma (and post-diploma!). She chats with us here about her background and inspiration. Painting was always a favourite passtime from early childhood. My mum loved art and was a very good artist; she inspired me. I used to paint posters for events to earn pocket money as a student and went to art evening courses as well. I then worked as an international model, traveled the world and was always looking forward to exploring art everywhere I went. Japan opened my eyes to Japanese art and this later led me to porcelain painting for many years. 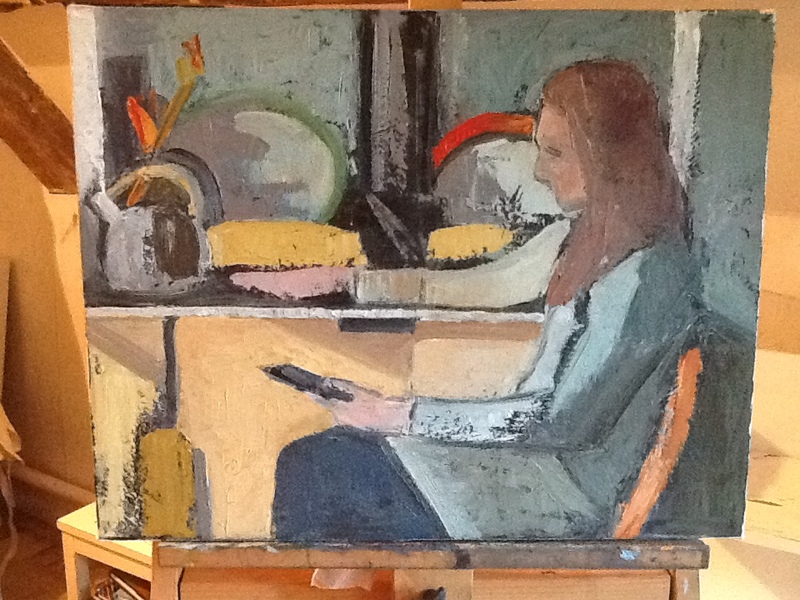 While raising my family I went back to acrylic and oil painting through adult education and The Shepperton Art School. Even though I liked landscape painting I became very interested in Portraiture. 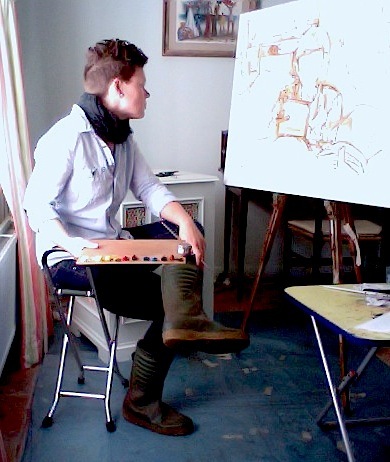 A teacher of mine, Wendy Balkwill-Clouse, recommended I join Heatherley’s School of Art. I took Portraiture courses with Allan Ramsey and then undertook the Portrait Diploma and Post Portrait Diploma. I find it fascinating to paint people and to have this direct, mysterious and engaging exchange. I do not only try to represent them physically but I try to capture a sense of them and their feelings. This is of particular interest to me. The translation of what your eyes and feelings capture to an image is a wonderful process. My favourite artist for many years was Van Gogh. His paintings say more then what they show. His feelings and poesy are brushed like a musical movement. His colours lusciously applied. The image that results is beautiful and intriguing. Lucien Freud, Gustav Klimt, Picasso, Rick Wouters, Kees Van Dongen also inspire me with their beautiful colours and brush strokes. A good portrait has to be captivating, enigmatic and moving. The style isn’t important but the colours should talk. I took part in the Pintar Rapido exhibition ( land-cityscapes) and Parallax International Art Fair recently and I’m working on a very unique exhibition project ‘Motherhood Portraits’ with a new formed group of artists ! That would be us, the Lots Road Group. 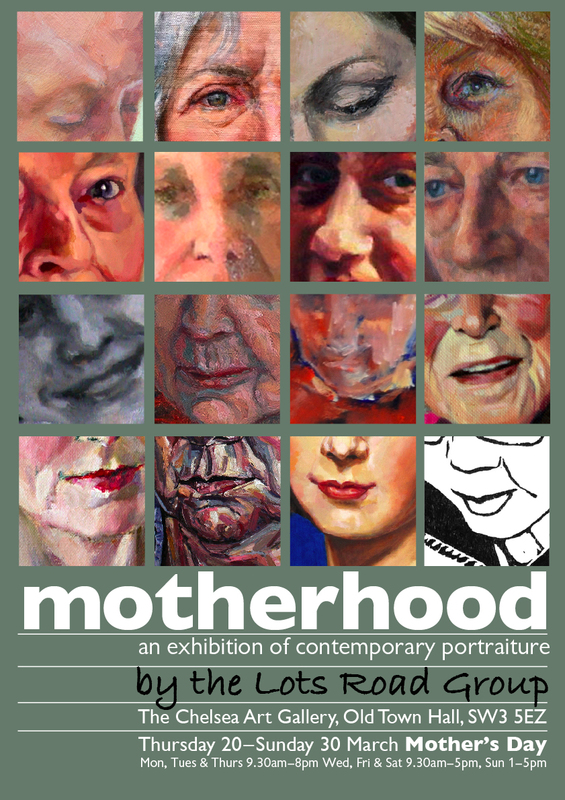 There will be more information about our first exhibition ‘Motherhood’ in the next post. Many thanks Christine for sharing your thoughts on portraiture.